What's the Difference between Product Testing and Product Inspection? 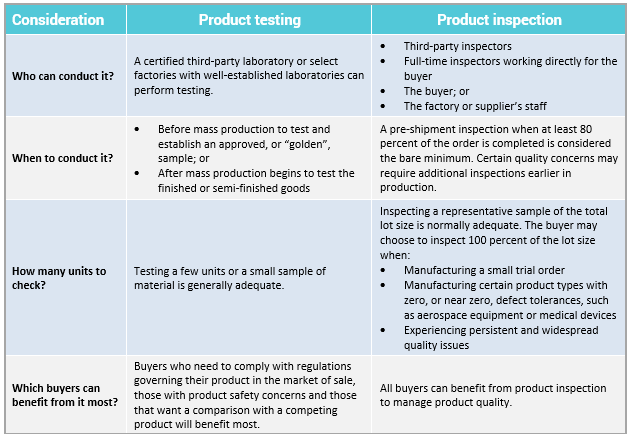 Don't know the difference between product testing and product inspection? Let's explore the difference between these two quality management options available to you and see how they might fit into your quality control plan. 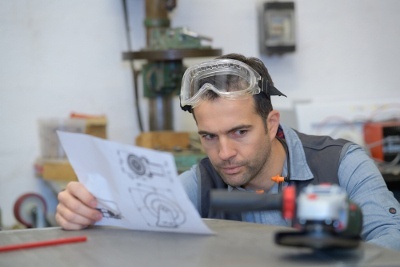 Importers new to the world of overseas manufacturing and quality control inspection are often inundated with a variety of quality control terms that seem to have the same meaning. For example, some importers confuse “product testing” with “product inspection”. And what’s the difference between “inspection” and “quality control”? Don’t all of these processes involve checking and examining a product? Can you conduct both quality inspection and testing at the same time and location? Can your supplier carry out both these processes for you, or do you need to manage either independently (related: 4 Ways Importers Conduct Product Inspection [eBook])? How many units do you need to check to get a reliable assessment of product quality? In fact, product inspection and product testing generally refer to two different steps in a broader quality control strategy. 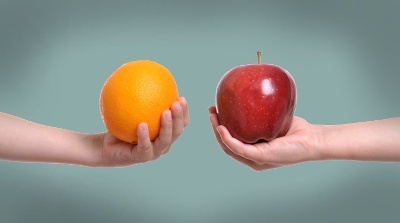 So let's explore the difference between these two quality management options available to you and see how they might fit into your quality control plan. How do quality inspection and testing differ? Product testing and product inspection address different quality concerns for importers evaluating their product. Are there scratches on the screen of your tablet PC? Are there skipped stitches in your woven garment? These are the kinds of questions product inspection can help answer about your products. Do you need to know the chemical composition of the paint your supplier is using to coat your furniture? Or whether your children’s toy meets U.S. Consumer Product Safety Commission standards? Product testing will likely be the relevant avenue for answering these questions. Product testing, often known as lab testing, typically involves testing a product against a specific standard or regulation in a certified laboratory. Whereas product inspection often involves checking a random sample of an order for compliance with a buyer’s requirements and specifications. Product inspection is the process of checking goods for compliance with your specifications and requirements. Generally conducted at the factory manufacturing your product, the product inspection process primarily focuses on checking the appearance, construction and basic function of a product. The other key purpose of product inspection is to help you identify and address any quality defects in your products before they reach your customers. Inspectors often use an acceptance sampling method like AQL to inspect a random sample of the total order quantity. The inspector can typically classify quality defects based on their severity and issue a clear “pass” or “fail” result for the order using AQL. Who can conduct product inspection? When manufacturing abroad it’s easy for factory staff to misunderstand your requirements and manufacture products that don’t meet your specifications. That’s why many importers find that relying on their factory to conduct product inspections isn’t always a reliable way to manage product quality. Hire a third-party inspection company: Independent inspection firms can often inspect a wide range of products and issue a comprehensive report for a reasonable fee. They typically follow industry-standard inspection processes and should have strict integrity policies to ensure reliable results. Hire full-time inspectors: These are local employees hired by your company and paid on a salary basis to inspect your products. In order to hire local employees, you’ll often need the resources to legally set up an office abroad. Send a company representative abroad or inspect yourself: You might feel you can inspect products better according to your own standards and requirements. But high time and travel costs can make this an impractical option if you need frequent inspections for large order volumes. Most suppliers in Asia are familiar with each of the above product inspection approaches. Notify your supplier about your inspection requirements when placing your order, including when inspection must occur and who will conduct it. This will help your supplier to prepare for inspection and minimize any pushback before shipment. When should you conduct product inspection? Final inspection, or pre-shipment inspection (PSI), occurs when your supplier has completed 80 percent or more of your order. This is the most common time to inspect and is the option QC professionals typically recommend as the bare minimum for consumer products. The main drawback of PSI is it often happens too late to address any of the quality defects or issues the inspector finds in the shipment. Depending on the types of problems found and how soon the goods need to leave the factory, there may not be enough time to replace or rework the affected units. PSI also does little to prevent defects in an order. Product inspection can offer different benefits at different production stages. Inspecting earlier in production can help you identify any quality issues before they affect the majority of an order. Incoming quality control on raw materials or components and a during production inspection when 15-80 percent of the goods are manufactured are two common options available to importers. Product testing is often synonymous with lab testing in the quality control industry. This is because product quality testing is typically performed at a certified third-party laboratory, not at your supplier’s facility. On-site product testing can complement third-party inspection, but it's not a substitute for testing in a professional lab. Herein lies the key difference between product testing and product inspection processes. Product inspection typically involves visiting your supplier’s facility, or sending an inspector on your behalf, to check products on site. Whereas lab testing usually requires sending samples from your supplier’s facility to a laboratory for more controlled testing. Is lab testing necessary for your product type? Product quality testing isn’t necessary for all importers. But it can provide you with certified documentation attesting to your product’s safety and performance. And importers who need to comply with a specific regulation or set of regulations governing their product type will typically find product testing most helpful. Your product’s intended use and attributes: Some products inherently carry more risk than others. Some examples are children’s products or products that will be ingested or come in contact with food or beverages. Claims you’ve made in marketing your product: Have you made specific promises about your product’s quality or performance? Samples can be rigorously tested for durability or performance in comparison to leading competitors, also known as benchmarking. Regulations governing your product type in your market of sale: Mandatory safety regulations, like REACH or CPSIA standards, govern products that can potentially cause serious harm to end users. Compliance is a legal requirement in many markets. Should you conduct product testing before or after production begins? 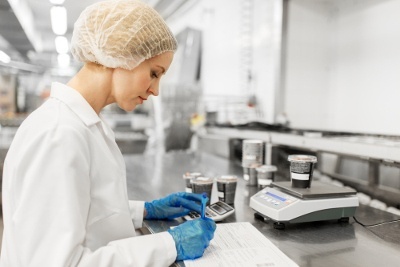 As with product inspection, testing products earlier in production, or even before production starts, can help you prevent issues from affecting the majority of your order (related: How Importers Minimize Product Defects by Establishing a Golden Sample). 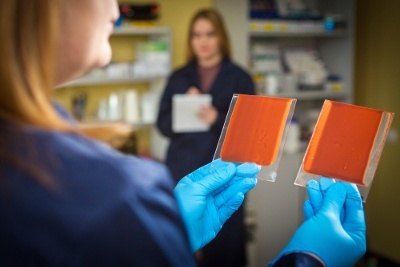 Always request a product sample before mass production begins when working with a new supplier or manufacturing a new product, regardless of whether you plan to test it in a lab. Obtaining a product sample helps you ensure your supplier understands your requirements and can meet your quality standards. Some importers even request a product sample when negotiating with suppliers to assess and compare potential suppliers’ production capabilities. Having your inspectors pull samples at the factory ensures the samples are truly random and representative of the entire order. Relying on factory staff to pull samples carries the risk that workers will “cherry pick” samples known to be compliant, in better condition or otherwise not representative of the order. Sending a product sample to a laboratory for testing can help you verify materials and components used in the sample and assess safety and performance. You may need to test each SKU, especially if they are manufactured with different materials. But testing just a few units of each SKU is usually adequate, as materials and production processes are typically consistent across an order. Can your supplier reliably perform lab testing at their own facility? It’s true that some factories have sophisticated facilities to accommodate certain kinds of on-site lab testing. But while valuable, it’s important not to overestimate the accuracy of these test results from such a lab. Factory labs usually are not certified by official accrediting bodies, such as the ANSI-ASQ National Accreditation Board (ANAB) or the International Accreditation Service, and certainly cannot be considered independent third parties. In several markets, like the EU and United States, national governments require these accreditations for brands to import and sell products there. Another important consideration is the competence and experience of the workers carrying out testing. Factory employees generally won’t be as qualified and reliable as the skilled technicians employed by more professional, accredited testing labs. Just as factory self-inspection presents a conflict of interests, so too does relying on your manufacturer to test their own products. Factories might even forge favorable testing results or desired certifications. 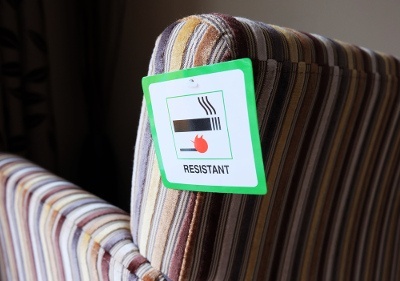 For example, one furniture importer we’ve worked with told us their factory openly suggested applying fake labeling to “certify” their office chair cushions were flame retardant. Testing laboratory TUV Rheinland has actually published a “blacklist” of such fraudulent suppliers who have used their certification mark without authorization, falsified a test report or created a fake report or certificate. Your supplier might provide you with previous test reports or certificates as evidence of their capabilities and compliance. It’s a great idea to ask for these reports and assess them when choosing a supplier. But you should never rely on these previous reports for the actual compliance of your products. Aside from fraudulent concerns, there’s no guarantee that a supplier’s manufacturing processes or materials haven’t changed since issuing a previous report. Testing your product samples in an independent lab will help ensure the actual products you’re responsible for are compliant and safe for use. What is the difference between inspection and quality control? Now that we’ve established the difference between product inspection and product testing, how do these two processes fit into a quality control plan? Is inspection or product quality testing alone enough to manage product quality? Quality control refers broadly to the process of managing product quality to meet a desired standard. Inspection is only a part of this process used to identify quality defects in products. Inspection can help you find any defects earlier in production before they affect the majority of a shipment. But as quality is generally built into a product, it’s not something that can be added after the fact. For example, if your factory has used substandard leather to manufacture garments, no amount of inspection will remedy that quality problem in those garments already manufactured. Instead, inspection earlier in production helps alert you to the problem early so you can take steps to prevent it from affecting the remaining order quantity. Quality control should be an ongoing process and a sum of regular actions, not a single one-off or routine task like inspection can often be. Quality inspection and testing are both essential for an overall effective quality control strategy. But preventing quality issues in your products should start at the very beginning of sourcing and negotiating with suppliers, well before inspection (related: How Experienced Importers Limit Product Defects in 3 Stages [eBook]). Now you have a clearer picture of the difference between product inspection and product testing and between inspection and quality control. If you still have some uncertainties, don’t worry. The reference table below outlines some of the major differences to help you keep track. Implementing quality inspection and testing will certainly come at an upfront cost to your importing business. But most importers find the preventative cost of these pales in comparison to the potential cost of a lawsuit or product recall resulting from quality issues they might otherwise overlook. What other questions do you have about implementing product inspection or product testing into your quality control plan? Share your questions in the comment section below!